Your SAP Security is a key element of your critical business applications. The Onapsis Security Platform for SAP provides the underlying functionality including Vulnerability and Compliance as well as Detection and Response. The 24X7 SAP security monitoring functionality will enable you to maintain and secure your SAP ECC, BW, SRM, HANA or any other SAP products environments. 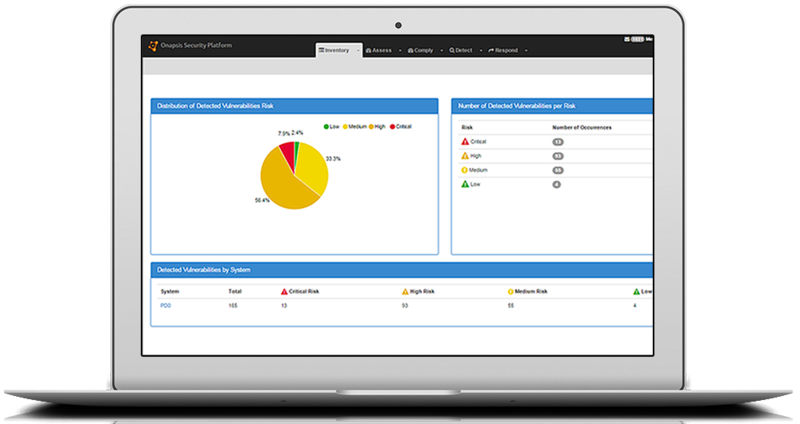 Incorporate Onapsis into your vulnerability management and risk/threat detection processes. Secure storage and communication of sensitive data. WHAT IS ONAPSIS ALL ABOUT ? The Onapsis Security Platform is the first solution to market that provides a combination of signature and behavioral-based preventative technology coupled with a detective and context-aware approach in order to prioritize each threat against an organizations’ business-critical applications and data including ERP, HCM, BI, CRM and SCM. With a focus on SAP and through continuous monitoring the platform provides organizations with an adaptive approach to assess, comply, detect and respond to threats against business-critical applications running on SAP.